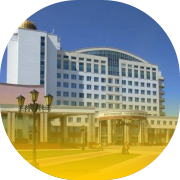 Founded in 2003, Institute of high technologies of Belgorod State University (IVT) is a hardware and software development company. Due to the highly qualified engineers and modern infrastructure, IVT can offer high-quality modern products at affordable prices for our clients. That is why IVT successfully cooperates at the national level and is able to offer competitive products not only in the home market but also at international level. The company collaborates with customers in Armenia, Mongolia, Belorussia and Kazakhstan. One of the main activity area of the company is creating and developing innovation products for the energy saving and energy efficiency, such as hardware and software complex Helios which helps to monitor and control outdoor lighting.